Regency Recollections: Captain Gronow's Guide to Life in London and Paris is a very useful guide for fledgling Regency writers. 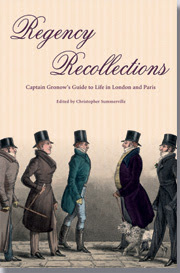 The editor of the book, Christopher Summerville, has done a great service for fans of Gronow's work by collecting all his Regency-specific writings into one volume. Even if you're not a Regency researcher, Gronow is worth the read if only for his wonderfully gossipy remarks about London luminaries. Below, you'll see some of his wittiest remarks. 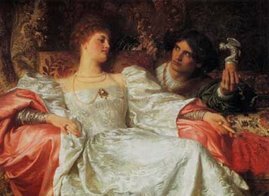 On Lord Byron: "Byron hated Palmerston but liked Peel and thought that the whole world ought to be constantly employed in admiring his poetry and himself. He never could write a poem or drmama without making himself its hero,a nd he was always the subject of his own conversation. On Beau Brummell: "Unluckily, Brummell, soon after joining his regiment, was thrown from a horse at a grand review at Brighton, when he broke his classical Roman nose. 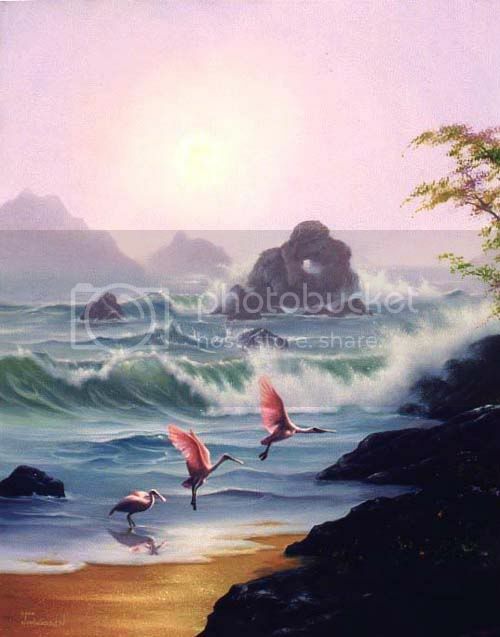 This misfortune, however, did not affect the fame of the beau, and although his nasal organ has undergone a slight transformation, it was forgiven by his admirers, since the rest of his person remained intact." Austen scholars haven't been enthusiastic about Becoming Jane, a fictionalized tale of a possible love affair between Jane Austen and Tom LeFroy. Many film critics have also panned the movie, with Salon.com in the lead, declaring it a "misguided movie [that] imagines Jane Austen's life as a genteel, tasteful Harlequin romance." 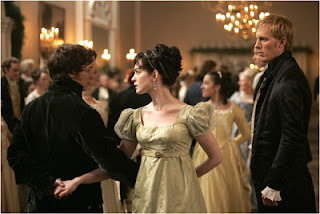 The movie is based on Jon Spence's biography Becoming Jane Austen, which I highly recommend. I saw the movie this weekend, and this is my own take on the subject. As a devoted Janeite, I didn't have any high expectations regarding accuracy. What I did expect was a vivid portrayal of the Regency era, and the film certainly did not disappoint in that regard. If you want a detailed and accurate account of Jane Austen's life, I recommend either Spence's book or Carol Shields's Jane Austen. If you want to immerse yourself in a visual representation of the colorful Regency period, Becoming Jane will serve as a witty, well-acted time capsule.